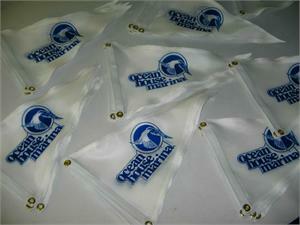 Solid color nylon fabric pennants are colorful and attractive and very useful for getting attention. 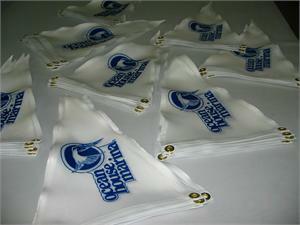 Polyster fabric pennants can be dye-printed with your logo or copy. 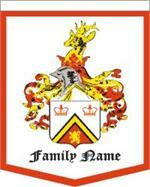 Dye-printed pennants with heading and grommets. 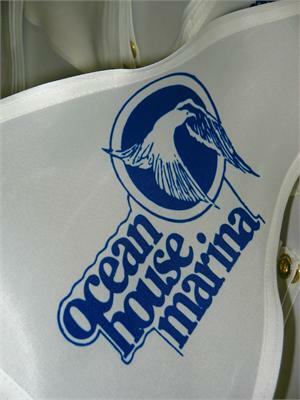 Single-side imprint on white polyester fabric. Two brass grommets punched into each heading. Double needle stitching in side hems. 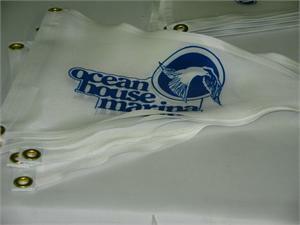 Solid color nylon fabric pennants in assorted colors. You can choose colors using the nylon fabric chart. 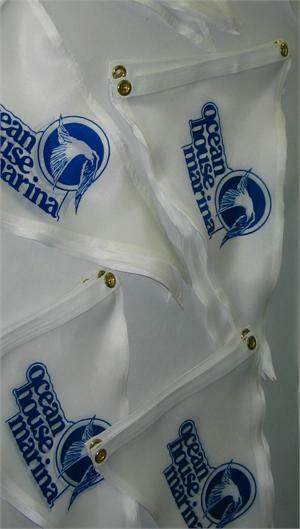 Solid color nylon pennants with double-needle hemming and heading and grommets.